In August 2017, Kenya held a highly contested election pitting incumbent Uhuru Kenyatta against opposition leader Raila Odinga. With absurdly low voter turnout, media censorship, and claims of intimidation, corruption, and electoral rigging, the election was deemed neither free nor fair and thus illegitimate. About two months later, in October, a new election was held with the same candidates. 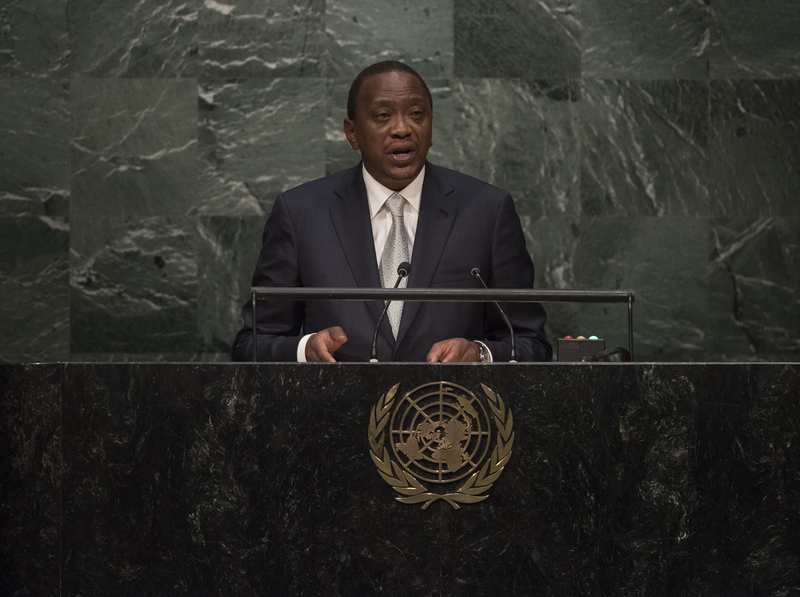 With higher turnout and a candidate with a couple million more votes than the other, Kenyatta was announced president. Despite the higher turnout, this October election was also neither free nor fair and Kenyatta’s regime should not be considered legitimate. Kenya is not a nation-state. Due to arbitrary colonial borders, it is a country of 42 nationalities and four African different races. Attempting to govern it is in effect “trying to forge a country out of a geographic phenomenon,” says Raphael Tuju, a member of the governing Jubilee party. Coupled with poor colonial legacies of Kenya, leads to exacerbation of ethnic violence and rampant corruption, making it a very difficult state to govern. Back in the 2007 elections, the state was rife with ethnic violence, resulting in the death of over 1000 Kenyans. Kenyatta was subsequently charged by the ICC for inciting ethnic violence amongst his ethnic group, the Kikuyu, against Odinga’s ethnic group, the Luo. The charges were later dropped. But they are symptomatic of the current political situation in Kenya, where ethnic tensions and corruption have led to unfair elections. In the most recent elections, the state manipulated the results in a number of ways. First, four counties, were barred from voting due to protests; these are areas of strong support for the opposition, and comprise more than 1.6 million votes. The rationale provided was that their results would not alter the outcome. 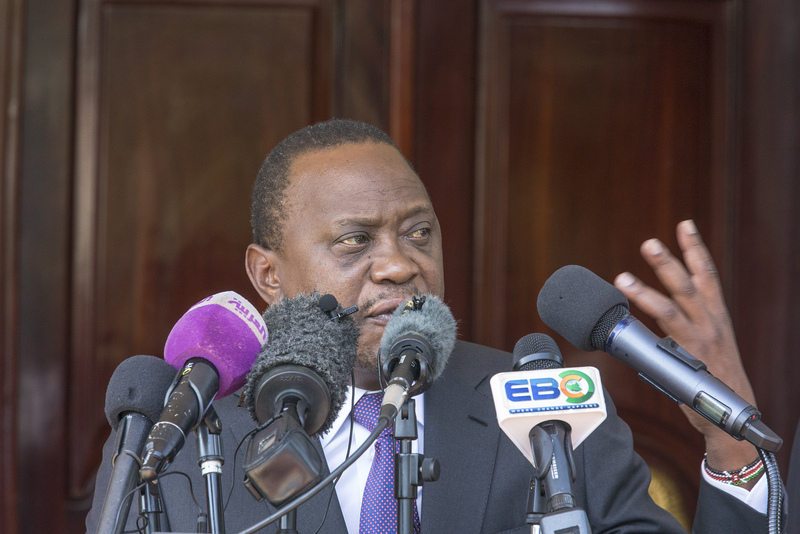 The electoral commission had stated that they believed it would be unfair prior to this outrageous decision, with some even fleeing the country fearing retribution from Kenyatta’s supporters. This is not to say that Odinga is by any measure an ideal leader himself. He has been accused of “dog-whistle politics” with intentions of inciting ethnic violence by the Luo, to his advantage. In addition, he has also been accused of being purposefully contentious in order to stay relevant, and opposing previous election results. In the October election, Odinga withdrew his candidacy despite still garnering 73 000 votes, reducing the legitimacy of Kenyatta’s win. At the end of January this year, in opposition to Kenyatta’s victory, Odinga held a ceremony inaugurating himself as the “people’s president,” drawing a crowd of about 2000. This ceremony was supposed to be aired on a number of local channels, but they were shut down by the state to make sure that the public continues to be unaware of this event. Odinga has made claims of working on a timetable that would culminate in new elections in August of this year at the latest, but these elections would surely not be recognized as legitimate by the government. Both Kenyatta and Odinga lack legitimacy with certain important factions within the state, which makes both unsuitable to govern this diverse state of many citizens with many different interests. In order for Kenya to have a successful and legitimate government, a number of things need to take place. First, foreign states must stop publicly commenting on domestic Kenyan politics, as the US did in recognizing Kenyatta’s legitimacy. Third-party state involvement leads to an onslaught of international attention, which in turn will cause leaders to forego the important, contentious issues such as disenfranchisement and ethnic tensions amongst others. Instead, leaders will be incentivized to make statements about peace to boost their image on the international stage. For improved governance and delivering on the needs of the people, it is important to address contentious issues such as the freeness of elections or the rule of one ethnic party largely over another. Second, the leader needs to move beyond identity politics and ethnic favouritism, and work towards the interests of the entire state. This is certainly not easy to accomplish, but is a necessary step to end the violence and corruption in this quasi-democratic state. Third, and perhaps most importantly, Kenya needs to advance from merely holding elections to holding free and fair elections. This, in theory, would be the easiest step as the main requirement would be inaction on the side of the repressors, or an end to violence and censorship. But in reality, is almost impossible to accomplish this until partisan, identity-based ethnic politicking stops. Although Kenya does hold elections, is not a fully democratic state. For the government to be considered legitimate, and for society to live in peace, Kenya needs to hold free and fair and accessible elections – where everyone is allowed to vote.